Bring out the real tiger in your kitty with the Nipstick! 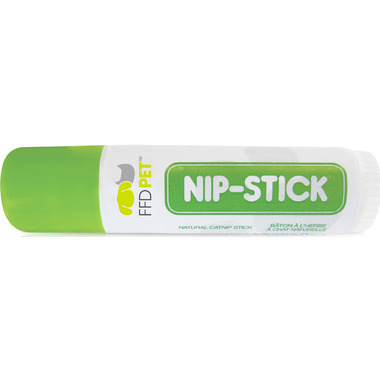 Manufactured with potent North American catnip oil, this catnip balm is difficult to resist! Great on your cat's favourite toys, cat scratchers, cat furniture or dab a little onto your kitty's paws and stand back to experience your cat's inner roar! Ingredients: Beeswax, Coconut Oil, Mango Seed Butter, Castor Seed Oil, Apricot Kernel Oil, and Catnip Oil. For safe and proper use be sure to always follow the instructions attached to this product!